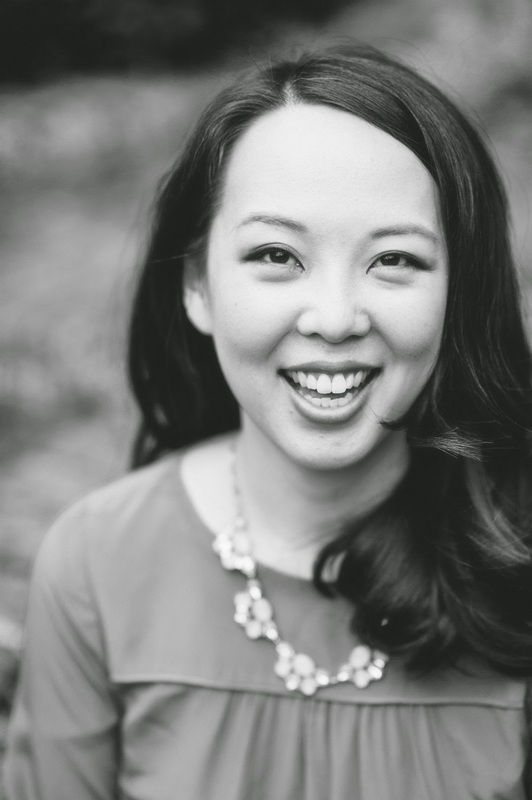 Caroline Tung Richmond is a freelance writer whose work has appeared in the Baltimore Sun, Highlights for Children, and USAToday.com, among other publications. The Only Thing to Fear is her debut novel and is out now from Scholastic Press. A self-proclaimed history nerd, Caroline lives in the Washington, DC area with her husband; their daughter; and the family dog Otto von Bismarck, named for the German chancellor (naturally). Here's my little elevator pitch! The Only Thing to Fear is an YA alternate history novel, set in a world where Hitler won WWII and colonized the US. The protagonist Zara is a sixteen-year-old Virginian farm girl who joins a rebel group that's set on overthrowing the Nazis---and assassinating the Fuhrer himself. How did you get the idea for writing it? Actually, my husband gave me the idea for this book in a very roundabout way! Back in 2010, I asked him for book recommendations and he told me to read The Aquariums of Pyongyang, a memoir by a North Korean refugee. I blazed through the book, and I couldn't stop thinking about: what would it be like to live in such a regime? How would someone try to fight back against it? I started imagining a girl who lived in a very oppressed society, and I let my imagination go from there. And that's how I got the first kernel for the idea that become The Only Thing to Fear! Writing an alternate history sounds like a very powerful allegorical tool. What advice would you give to other writers wanting to give it a try? I still consider myself very much an amateur when it comes to writing alternate history, but for those of you who might want to write in this genre… I say, go for it! It may seem like a daunting genre due to all of the research involved, but I promise that the research often turns out to be quite fun and super interesting. But it can be overwhelming so I would say to take your time and to let things soak in! With every book or article you read for research, jot down notes that you find fascinating because they may come in handy for your world-building. And don't feel like you have to flesh out EVERYTHING in your world before you start your book. You can fill in a lot of the historical details as you write or whenever you start revising. Like I said, just go for it! What amount of research did you have to do to write your book? How did you go about it? Gosh, quite a bit! I made sure to brush up on my overall WWII history knowledge before I sought out particular research topics that would help me flesh out my world building---particularly what life was like in Nazi Germany and what life was like in the countries they occupied, like France, Poland, and the Netherlands. My new WIP is set during WWII so I have quite a lot of WWII-related titles on my Kindle now! Examining a Nazi-led world seems like no small task. What advice would you give to writers who want to tackle a big, even larger-than-life project? My advice? Just do it! I think it's a good thing to be a little scared about a potential writing project---it is this fear that helps us stretch and grow and develop as writers. And try to take things slowly. I think we often shy away from larger-than-life projects because we don't even know where to start. So tackle things one at a time! Dip your toes in the research waters. Read other books in the genre and note what works and what doesn't. And when you're ready to start writing, focus on getting a little bit done at a time. A paragraph here, a chapter there. It might take months or even years, but you'll eventually finish a draft for that daunting novel you weren't sure you could write. How do you balance world-building versus honing in on particular characters’ lives? Oh, this can be tough! I've found it really hard to strike that nice balance between fleshing out a world yet moving the plot and the character arc forward at the same time. It can be quite tempting to use the dreaded info dump! And so, I try to focus on the plot and character arc first while folding in world-building whenever necessary. Also, find good beta readers! My beta readers are fantastic about letting me know when I've info-dumped too much or when I need to beef up the details. Oftentimes as authors we're blind to the balance of world-building because we're already living inside of this world that we created. We just get it. So it might take someone else to point out what's working and what's not. One tweet. One modest goal: landing an agent. Sounds insane? Perhaps. But it happens often enough that manuscript pitching contests have sprouted all over the Twitterdom. All you have to do is write a unique, compelling high-concept idea in 144 characters or less – and wait for an agent or editor to favorite it. Couldn’t be simpler, right? The truth is hundreds of writers tweet (and retweet) on the appointed day to no avail, while a handful will end up getting favorited again and again. Of course, getting your tweet favorited is a far cry from landing an agent – but having someone eager to look over your project is a very promising start. But even if you don’t end up scoring an agent because of a tweet, joining a Twitter pitch party is a worthwhile endeavor. At the very least, you will end up crafting a few sentences you can weave into your query letter or use to talk up your project. And you may very well gain some new insights into your project. As an agent, I get kinda sort of thrilled by Twitter pitch contests. Thrilled because what agent open to submissions doesn’t appreciate the excitement of the hunt? Kinda sorta because, well, most of the pickings don’t stand out. So, how do you distill a 80,000-page manuscript into 144 characters or less? Easy. You don’t. A Twitter pitch is not a mini-synopsis. (And tweets that attempt do that just end up as overly dense strings of confusion, so don’t even try). Instead, a Twitter pitch’s only goal is to get agents and editors literally asking for more. “…learns the high cost of [love/greed/whatever]"
Or, let's put it another way. Do you think "Two princesses must find the meaning of true love before it's too late," makes Frozen stand out? "He's a best-selling crime author with the sense of a 9 yo. She's a hard-charging detective. Hope they don't kill each other." Which one catches your attention? Exactly. In three short sentences, it provides genre, shows how the main character is different from your typical crime drama fare, promises lots of juicy conflict, and hints at stakes and voice. And that's just the second draft. Further revisions could really make a pitch like that sing -- and get you the traction you're looking for.